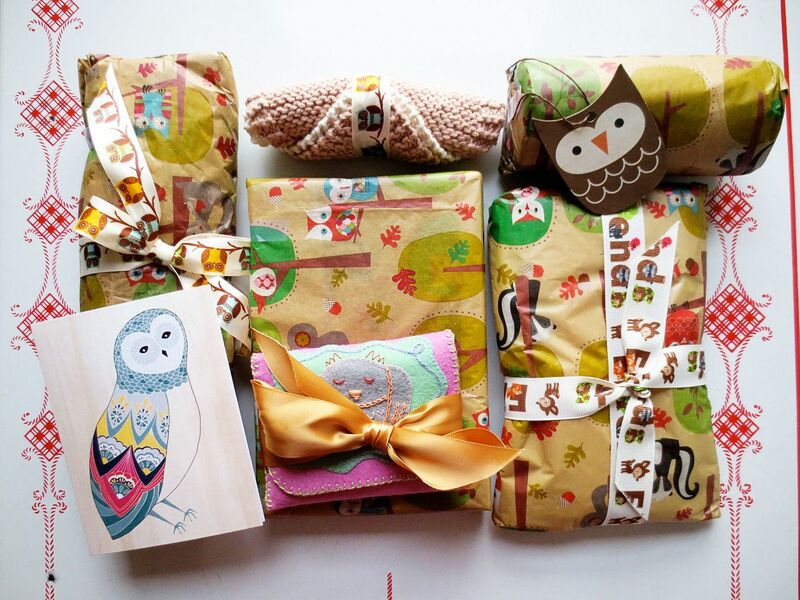 Today I'd like to share with you what I received in the Tiny Owl Knits Common Room Swap on Ravelry. I was very, very spoiled by my sender, who goes by SoEffie on Ravelry. Here's a group shot of everything that was in the swap package I received! Isn't the tissue paper and ribbon adorable? This is right after I unwrapped everything-- it was so exciting! The tea is delicious, and the little cream-colored case is perfect for storing my cable needles. 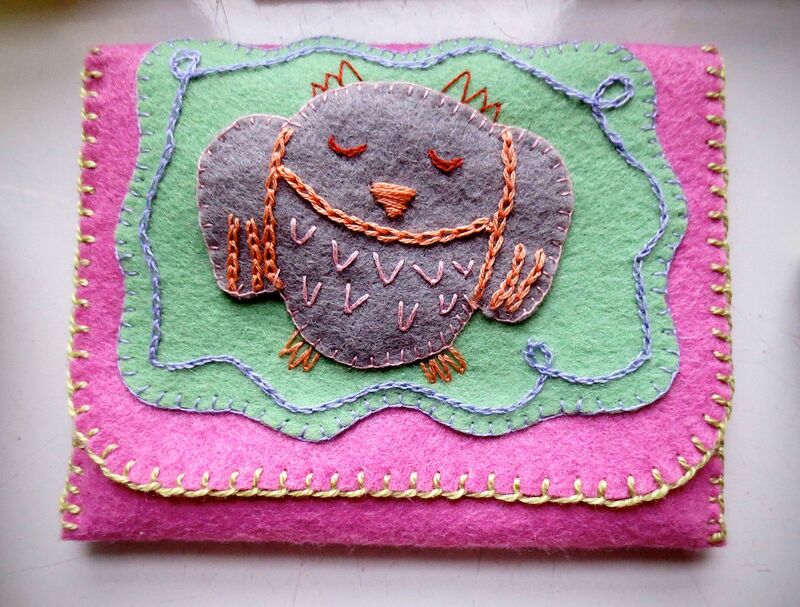 This owl card was filled with a sweet message from Effie. 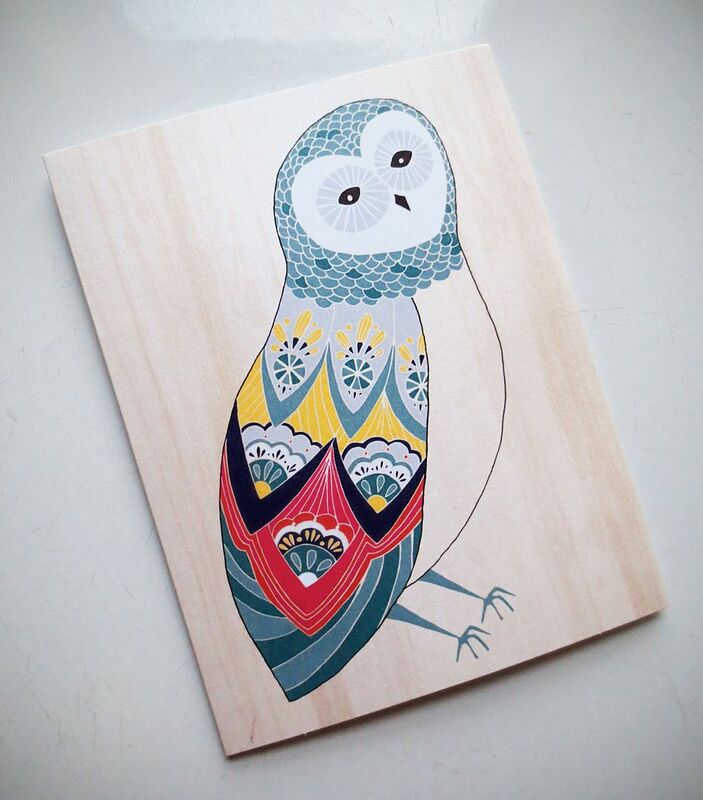 I love the beautiful patterns on the owl's wings! I'm going to frame this and add it to the gallery-wall I'm working on in my front hallway. The beautiful green flowered project bag in the lower right corner of the group photo is reversible-- the inside fabric has this charming owl print, I just love it! I am in awe of Effie's embroidery skills! 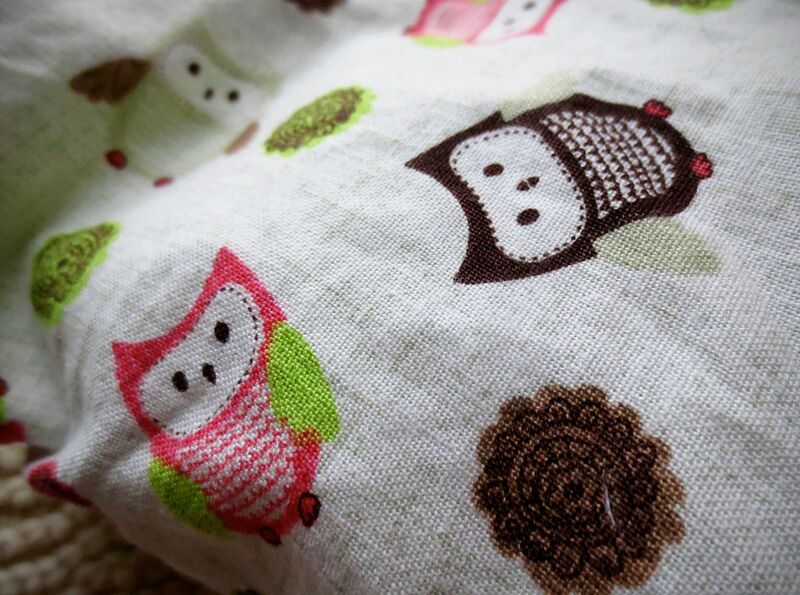 This little owl pouch is so precious. 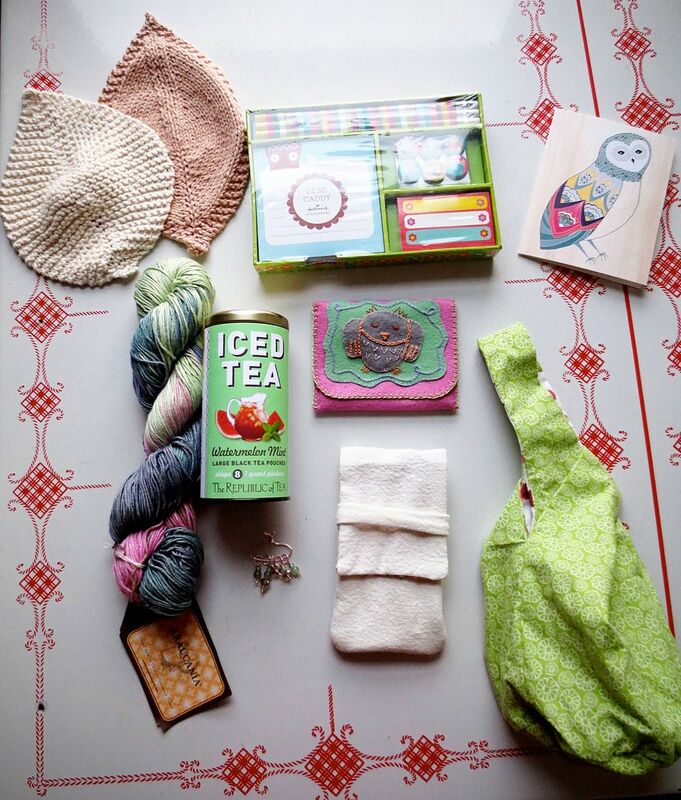 I haven't decided what to put in it yet-- maybe a little lavender sachet to keep my knitted items nicely scented? 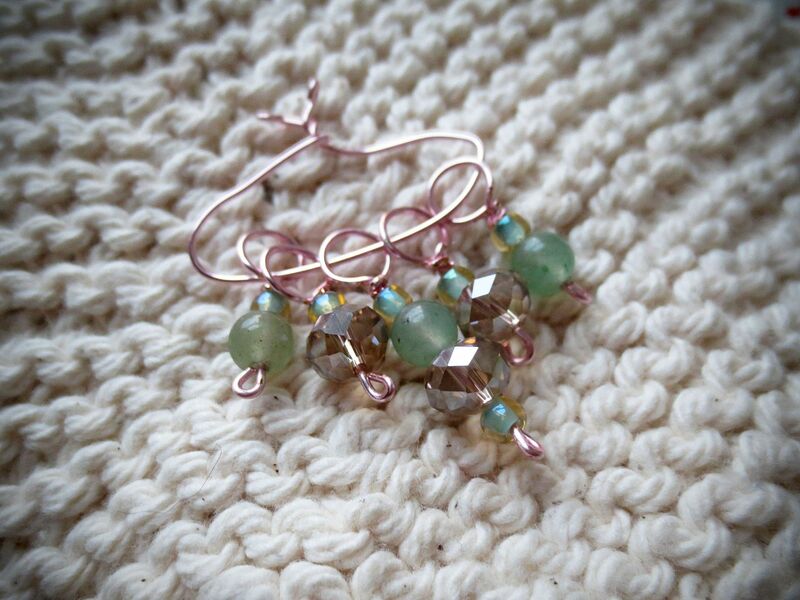 Effie had filled the owlie pouch with these beautiful hand-made stitch markers. They're so delicate and pretty! 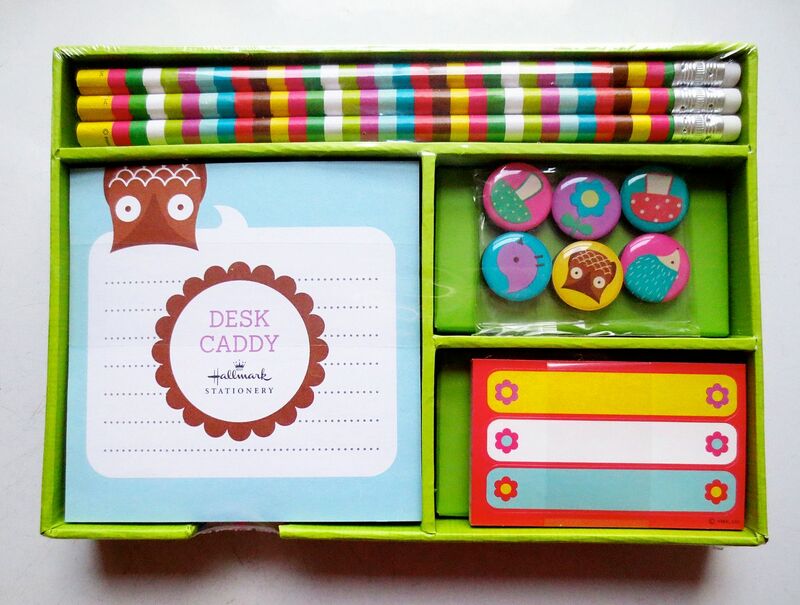 Isn't this owl stationery set so sweet? It was so thoughtful of Effie to send a desk set. I love all things stationery-related! Effie also included this beautiful yarn. 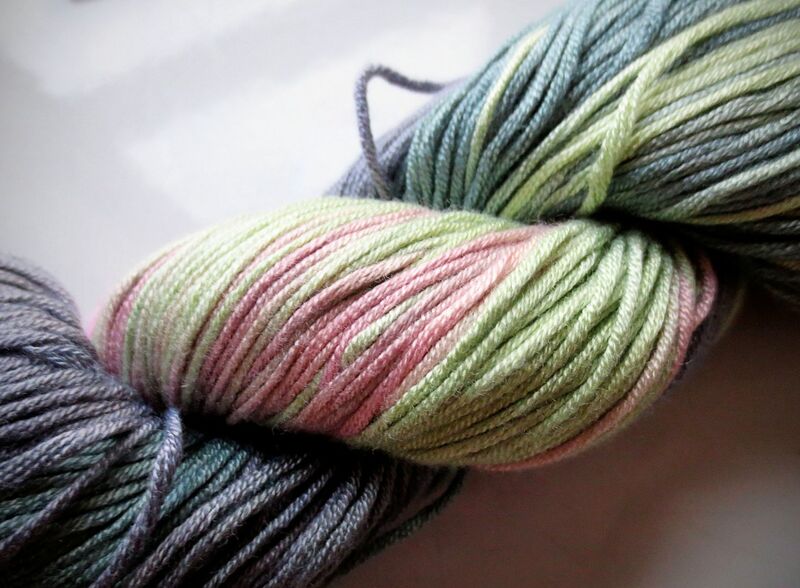 It's Araucania Ruca Multi, a DK weight yarn made of sugar cane in the prettiest pink, pale green, teal, violet, and gray. 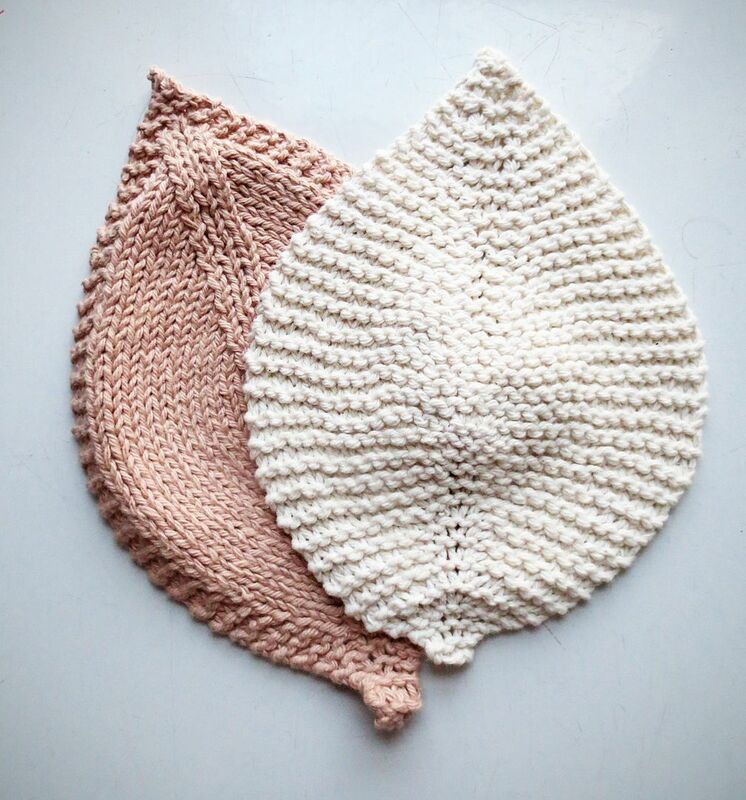 Last but certainly not least are these two lovely leaf washcloths! They're so soft and cushy. 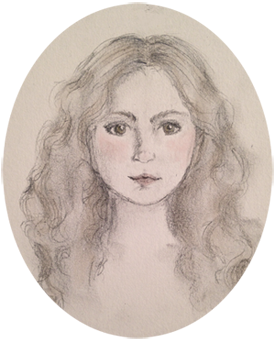 Thank you so much, Effie! Everything in the package was so lovingly crafted. I love it all! It was so much fun! And the discussion thread is just as much fun as the actual giving and receiving of swap packages.